how long will a Botox treatment last for sagging cheeks? I received botox for my crow's feet and now I have all these wrinkles on my cheeks that were not there previously. What should I do? I had botox injected into my crow's feet two weeks ago. It left me with a lot of wrinkles on my cheeks. I also feel as if the lines under my eyes are being pulled down. I was never told of any side effects. I was also interested in getting very fine lip lines done with botox but rejected the idea after reading about the possible consequences. I am a communicator/TV host and didn't want to take the chance. The injector wasn't concerned about bad results. What do I do? Can you get Lasik eye surgery shortly after Botox for migraines? I am scheduled for Lasik eye surgery on 9/24/16. I have been approved for Botox for migraines and should receive injections the week of 9/12-9/16. Is this safe, or should I put off the Botox procedure? If so, when would it be safe to get? Is it common for a specialist to recommend Botox for the forehead if injections were made in the frown lines? I had Botox for the first time in one area (frown lines). The doctor advised that I would also need injections in my forehead because, according to him, the muscles on my forehead would work harder to move the frown lines and the result would be more lines across my forehead. Is this true? Is this an appropriate recommendation? I am 38 years old. My main concern is the frown lines; my forehead only has small fine lines that aren't that noticeable. Can I get laser hair removal on the lower half of my face a day after getting botox injected right under the eyes? I had Botox and I'm finding it hard to talk. My main concern is that my voice is not the same. Will things go back to normal? I had Botox injected. When the filler was working, my voice sounded fine. It was higher and crisp. I did have difficulty swallowing though. But now that it has worn off, I'm finding it hard to talk and I can feel the muscles used to swallow resuming their function. My main concern is that my voice is not the same. Will things go back to normal? Can Botox help under eye puffiness and drooping eyelids? If not, which procedure do you recommend? 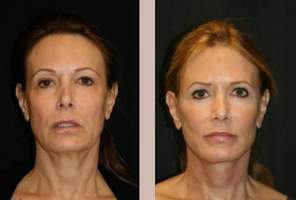 Does Botox work to erase the lines at the corners of the mouth area? Can it also lift the outside corners of the mouth? Will microdermabrasion & cold laser compromise the Botox shots I had 3 weeks ago? Can a client have a sports massage after a Botox injection to the shoulder? A client had a Botox injection to the shoulder as a means to remedy shoulder pain. The client now wants a sports massage. Is is safe to do the massage 2 weeks after the injection?